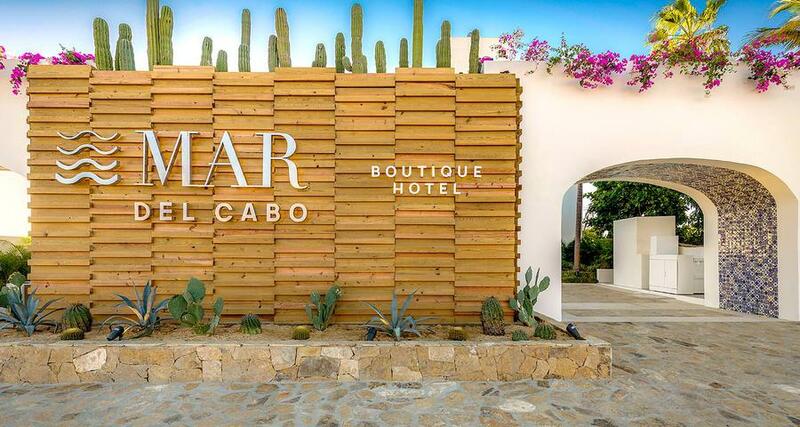 Mar del Cabo is a 4* beachfront hotel located in San Jose del Cabo, Mexico. It features 48 rooms and swimming pools. Mar del Cabo is strategically located on the Tourist Corridor of Los Cabos, right by a beautiful beach. The property has an enchanting Mexican-style architecture with contemporary accents and features an on-site restaurant, a spa, a swimming pool, an indoor ocean-front terrace area, a lobby bar and much more. Its suites are equipped with an array of modern services, including air conditioning, a kitchenette, cable television and Wi-Fi. Most categories even offer independent bedrooms for those travelling with their family or friends. Mar del Cabo also has spaces for events, a fitness center, a boutique and a beach-side fire pit to admire the stunning sunsets.